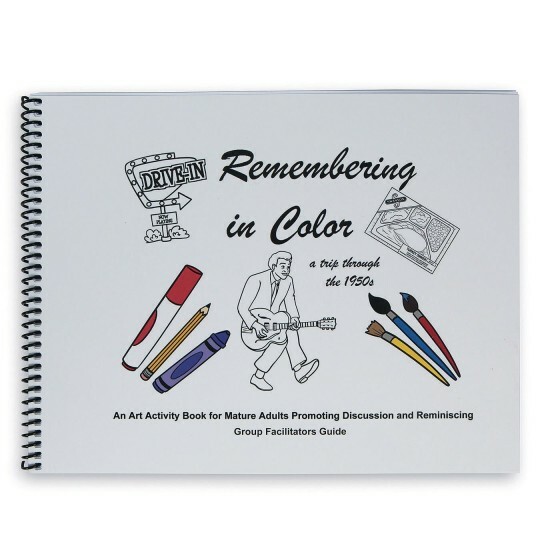 This art activity book promotes the therapeutic elements of coloring with those of reminiscing. The coil bound book is made of heavy weight paper and includes 24 images of the 1950’s lifestyle. Each image is easy to color and corresponds with a half page of text in front of the book about the image. Text includes brief histories, fun facts, jokes, and discussion questions. 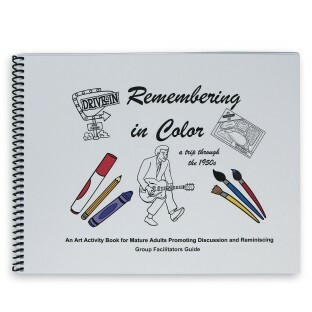 The Facilitators Guide is intended to be used by the group leader while participants are coloring.